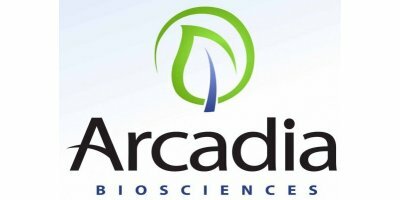 DAVIS, Calif. & TIENEN, Belgium--(BUSINESS WIRE)-- Arcadia Biosciences, Inc., an agricultural technology company focused on developing technologies and products that benefit the environment and human health, and SESVanderHave, a leading sugar beet breeding and marketing company, today announced the achievement of key field performance milestones for Nitrogen Use Efficient (NUE) sugar beets. The companies conducted three years of field trials to assess yield performance of Arcadia’s NUE technology in SESVanderHave’s sugar beet varieties. Results from these trials show that experimental NUE sugar beets produce higher yields than controls under different fertilizer applications over multiple years. Yield in sugar beets is nitrogen-dependent as in many other crops, and nitrogen fertilizers constitute a significant cost to the grower. Sugar beets typically absorb only around one half of the fertilizer applied; the rest can enter ground or surface water systems, or volatize as nitrous oxide. Successful commercialization of NUE sugar beets can help growers lower nitrogen fertilizer use while contributing to a sustainable agriculture and reducing their environmental impact, rendering both growers and the sugar industry more competitive in all regions where beets are grown. SESVanderHave is an international market leader in the sugar beet seed industry, specialized in every aspect of the research, breeding, production, processing and marketing of sugar beet seed. Worldwide, SESVanderHave sells sugar beet varieties resulting from the continuous research and breeding process with its proprietary germplasm. Each variety represents a customized solution to the needs of a specific sugar beet market. SESVanderHave pursues a proactive policy of investments in biotechnology, modern breeding technologies and improved seed technologies to improve the performance of the sugar beet crop. Wherever sugar beets grow, SESVanderHave is present. No comments were found for SESVanderHave and Arcadia Biosciences Achieve Field Performance Milestone for Nitrogen Use Efficient Sugar Beets. Be the first to comment!